Some fabulous blogger friends of mine often get together on a monthly basis and share with all of you, whatever it is we are doing or celebrating. 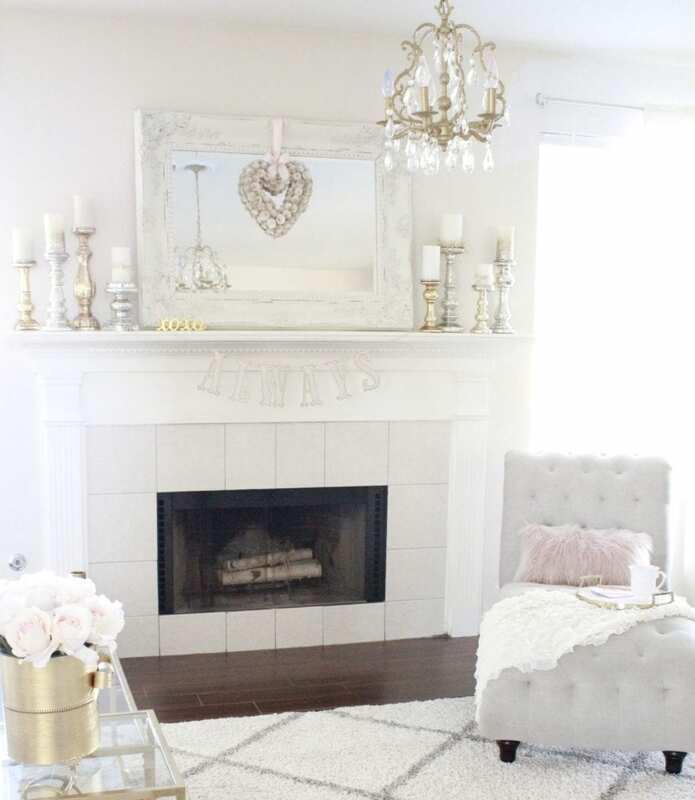 Today we are giving you a tour of our homes all decked out with Valentine’s Day Decor. We all have different styles and loves for certain colors and textures so I really love seeing what everyone shares. There’s so much inspiration! So, WELCOME if you’re coming from Kim & Lacey’s blog Styled With Lace. Aren’t their homes soooo dreamy?! I love everything they do! Welcome to all my regular readers and I’m so grateful you keep coming back for more fun and inspiration! Come with me into my living room! 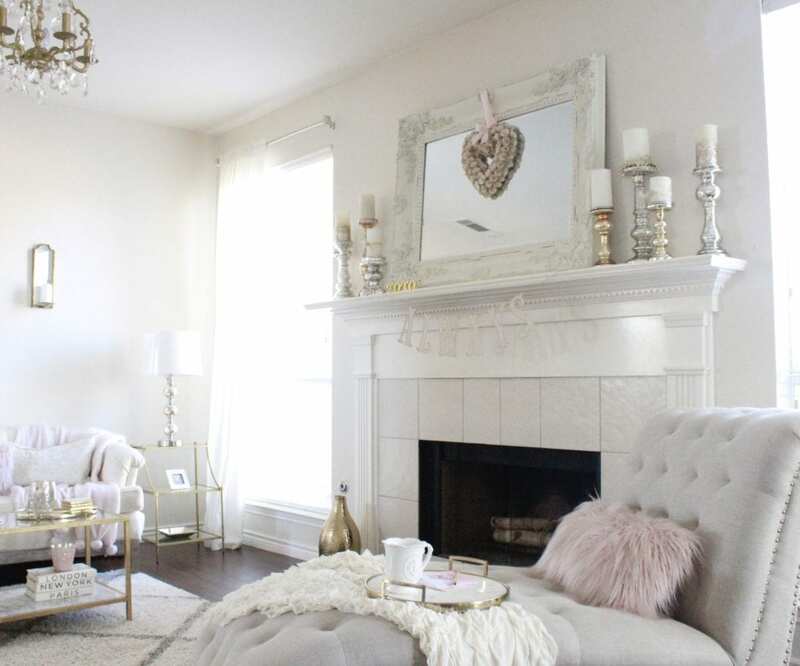 I kept my living room pretty bright and white, as usual, and kept the blush tones. I also kept all my gold and silver mercury glass candle holders and sparkly candles out from Christmas, to keep that ambience of romance and glam. I removed my large piece of art with warm tones and replaced it with a lighter piece. I also removed the leopard pillows that I love and put them somewhere else. I wanted to keep this room light and soft. 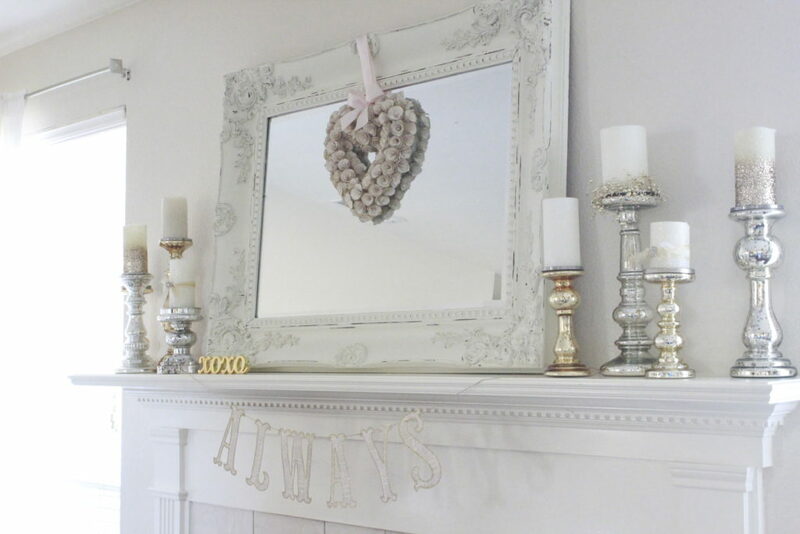 I wish I could find this wooden heart wreath for you somewhere! I always get asked about it. I found it at Target a few years ago and still love it. It has a touch of gold glitter (I should have gotten a close-up). You can find the Vintage Letter Banner (I also used HERE recently) in my online shoppe and spell out any word or phrase. It’s always a nice, pretty spot to sit and relax and write “love notes” or watch an old romance movie. In the kitchen nook, I decided to keep my vintage tea cart here in the corner after our Soda Shoppe Valentine’s Family Night that we threw for our kids one night. I like it here! It’s fun to decorate and since I always keep a candy bar or sweets out this time of year, it’s the perfect place to display it all. This “rose gold” or blush love mylar balloon I bought last year is the cutest addition for this little corner. My friend Tanya at A Darling Daydream has the same balloon and when I saw her use it above her cute cart, it inspired me to use it the same way. Her entire party she threw for her family was out-of-control gorgeous and you need to go see it!!! Then, Amy at Pearl & Jane sent me THE CUTEST garlands! Here’s how I used one of them. 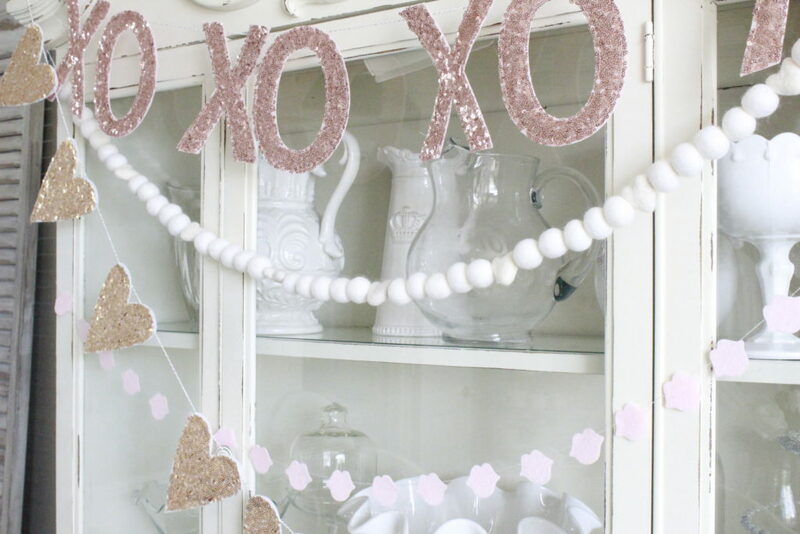 This mini gold sequin XO garland is the perfect thing to hang right below this fun love balloon. Of course, I had to add lots of pretty rose sprays! Roses make everything prettier! 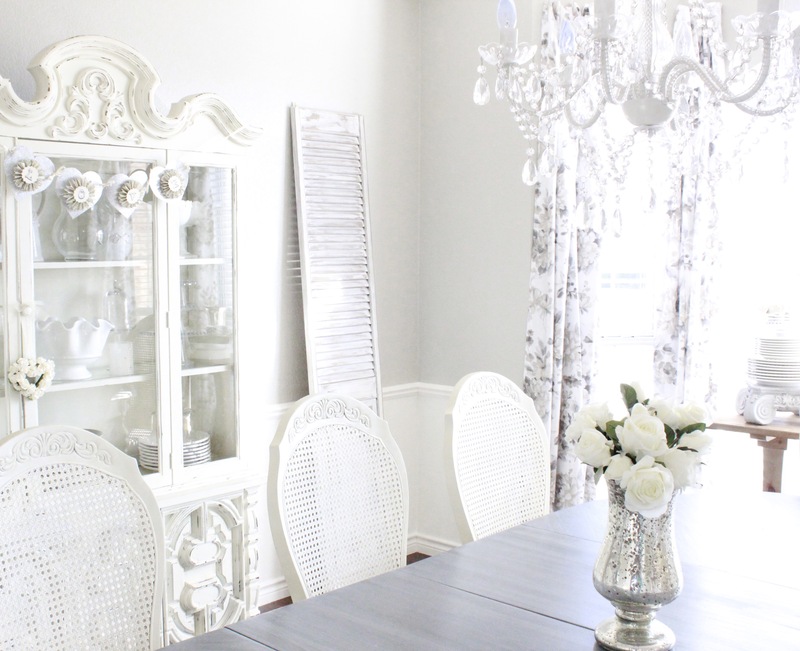 Let’s head on over to my Dining Room! This is such a bright space with the bay windows and I like it staying that way instead of getting too busy. 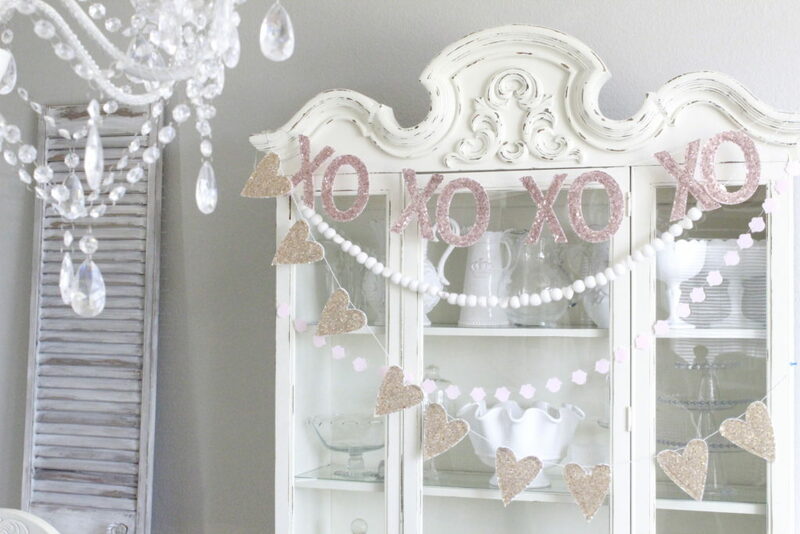 So, all I added was the simple glitter “love” garland and miniature faux rose wreath on my china cabinet. That being said, I love to set a really fun table for Valentine’s Day for my family! It changes every year but it’s always fun and festive. We celebrate together on Valentine’s Day and have a really great night together. It usually involves a heart-shaped pizza, a chocolate fountain with all sorts of delicious dippers, and other yummy things! Oh, and presents! I love to wrap and give them fun gifts. I feel like it’s a mini Christmas. This year’s table was inspired by those adorable garlands by Pearl & Jane. My dear friends Ashley and Susan shared them in their Valentine’s posts and I had to have them. The little pink felt lips, gold sequin hearts, felt ball and heart garland, and rose gold sequin XO garland were just all so so cute together. It added that fun element I wanted since this is our dinner with the kids. And of course…it sparkles. Win win! I love that I can use these banner throughout the year for occasions other than just Valentine’s Day. I’ll use them for baby or bridal showers, birthdays, our anniversary, or even in Brooklyn’s room. More fresh roses and these ones smelled OH SO GOOD! 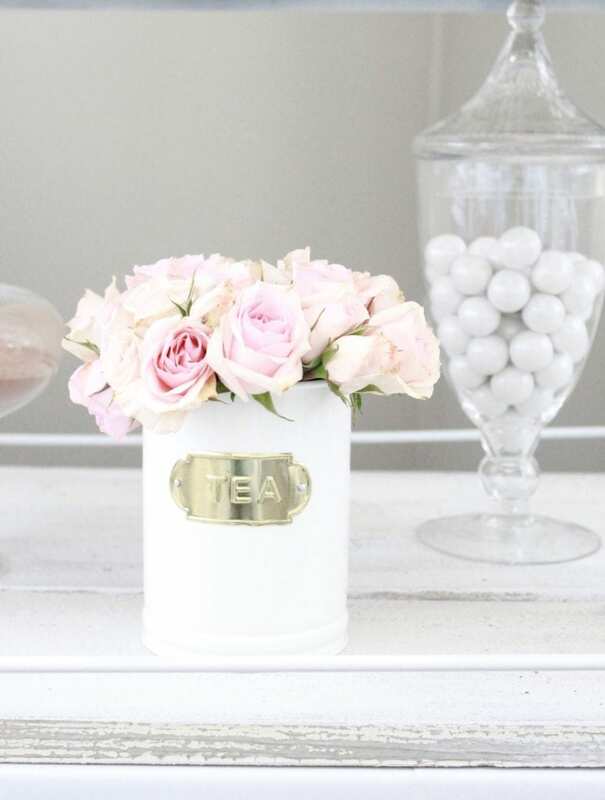 This gold vase was a fun DIY. It was a clear glass vase from Home Goods that had some faux flowers in them with that clear resin that looks like water. Well, I needed the faux floral in them for something else so instead of getting rid of this and tossing it, I just sprayed it gold. 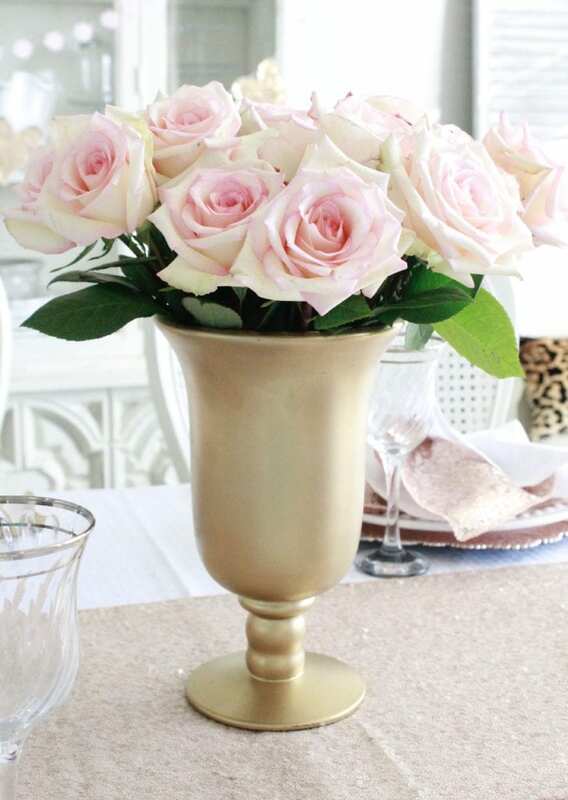 I needed a gold vase so it was the perfect solution. I used my blush chargers with gold flatware, or “goldieware” as I like to call it. 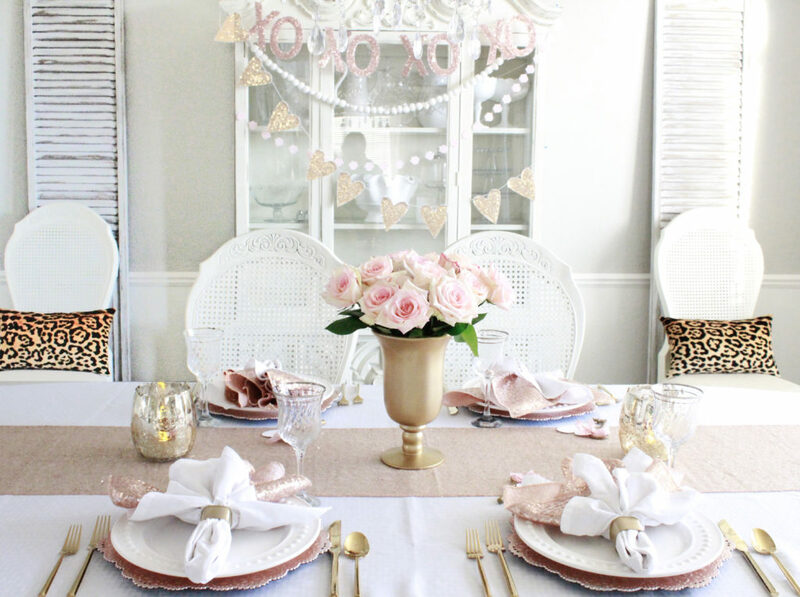 I grabbed my blush sequin runner and gold mercury glass candleholders too and do you see those leopard pillows in the background? I told you I moved them from my living room and into here for a fun accent. 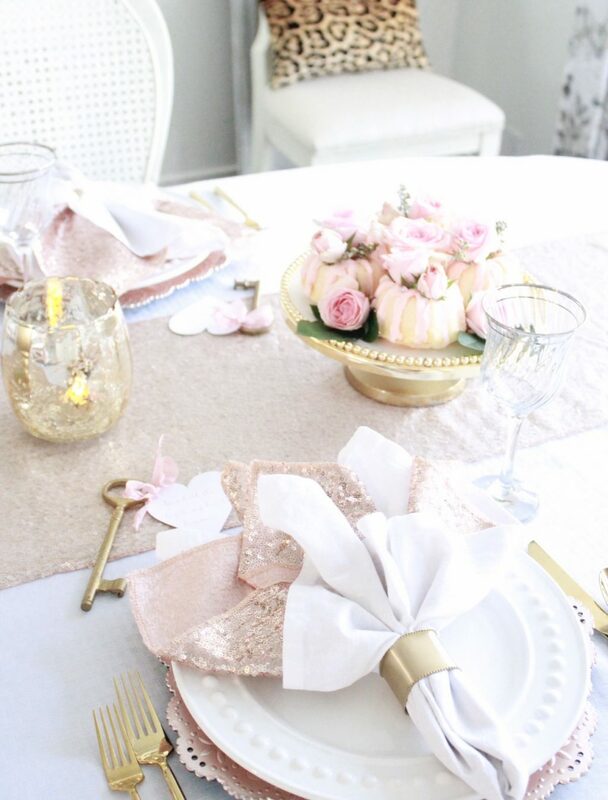 But these blush sequin dinner napkins, from my friend Nicky Sinclair and her adorable online shop called Composition Lane, were the icing on the cake! They are to die for and they compliment the garlands and chargers and runner and everything so perfectly. My kids walked in the door from school and started saying how “awesome” and “fun” and “cute” this table was and their friends’ jaws were on the floor. It was cute. And let me just say…..yes there’s sequins and sparkle and shiny mercury glass here. But this was so so simple to put together. I love buying pieces throughout the year that I know I’ll use often and then mix and match linens and serve ware and home accents to create totally different looks. Ok, one of my favorite things for this simple but FUN Valentine’s table are these keys. Last summer I went to my friends’ barn sale and bought a ton of fun vintage treasures, including a handful of brass skeleton keys. They were so cute and I knew I could use them so many different ways. 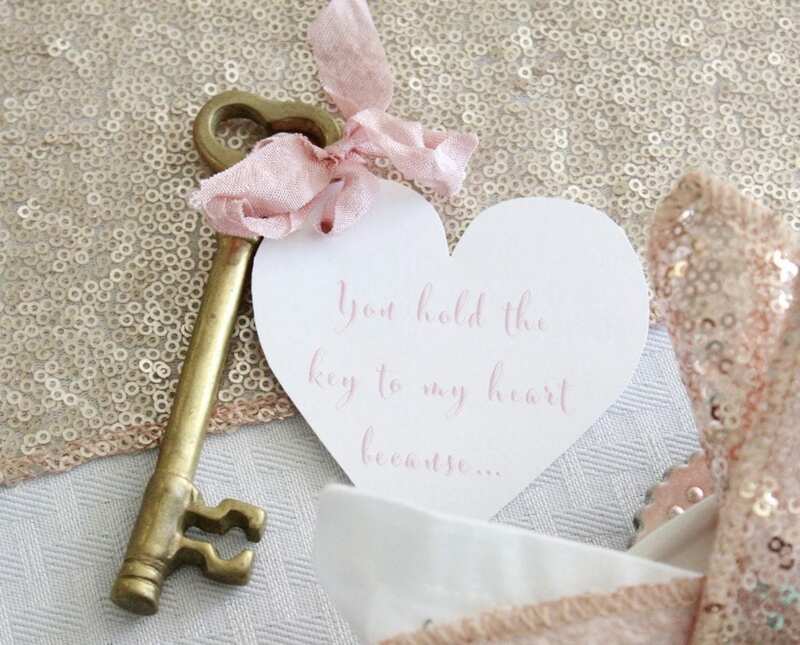 But, being the hopeless romantic that I am, I immediately thought of using them with this “You hold the key to my heart because…” saying for Josh and the kids at each place setting. On the back of each heart, I’ve written what they do that just melts my heart. For example, Beckham just turned 9 years old but he still grabs my hand in the parking lot as we walk into the store. I die. EVERY.SINGLE.TIME. I hope he does that for a while longer. I think they’ll like the sweet expressions of love I wrote down for them and hope they understand how much it means to me. It’s the simple things we can do that make such sweet memories and unforgettable experiences. My mom had 6 of us kids and, while I know it was very hard to do and she couldn’t do everything she would have liked to do for us, she was brilliant at making holidays magical and special. Best mom ever! 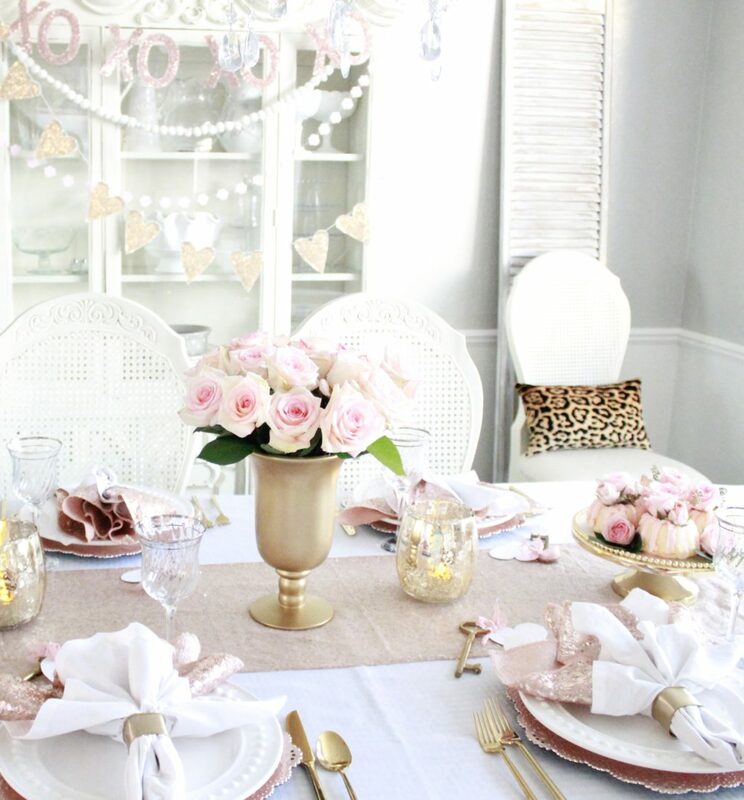 I remember walking into the house each Valentine’s Day after school and seeing red and pink balloons, flowers, the table set with china and everything looked so fancy! Some of our dishes were in a heart shape and we each had the cutest wrapped gifts on each of our plates. We absolutely LOVED Valentine’s Day each year! Mom was too cute. I hope my kids look back on these days with fondness and a smile as I do. I enjoy it all so much! Especially our “14 Days of Valentine’s Tradition” that I do for them. Do you have any special traditions or things that you do for Valentine’s Day? 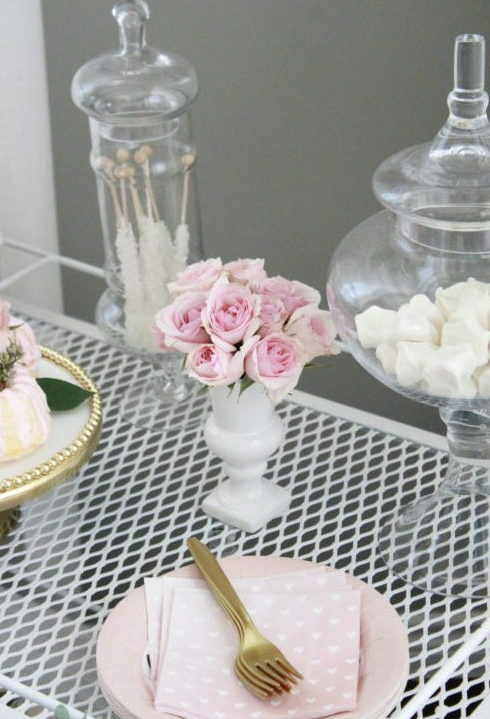 Do you do a lot of decorating or just something simple? I’d love to hear! And for more inspiration, please head on over to my friend Joan at 2 Ladies & a Chair next. She’s so talented and I always love to see what she’s up to! Wishing you the happiest and sweetest and most memorable Valentine’s Day ever! Oh my goodness Summer, Everything is so beautiful and every little detail so well thought out! Love all the cute banners , and that myler balloon!! TO DIE! You’re table setting and tea cart are so so cute, AMAZING! Love doing this hop with you!! Summer I love all you Decor! Your home is gorgeous…and you are too…I love how you treat your whole family for Valentine’s Day. And the key idea is priceless! 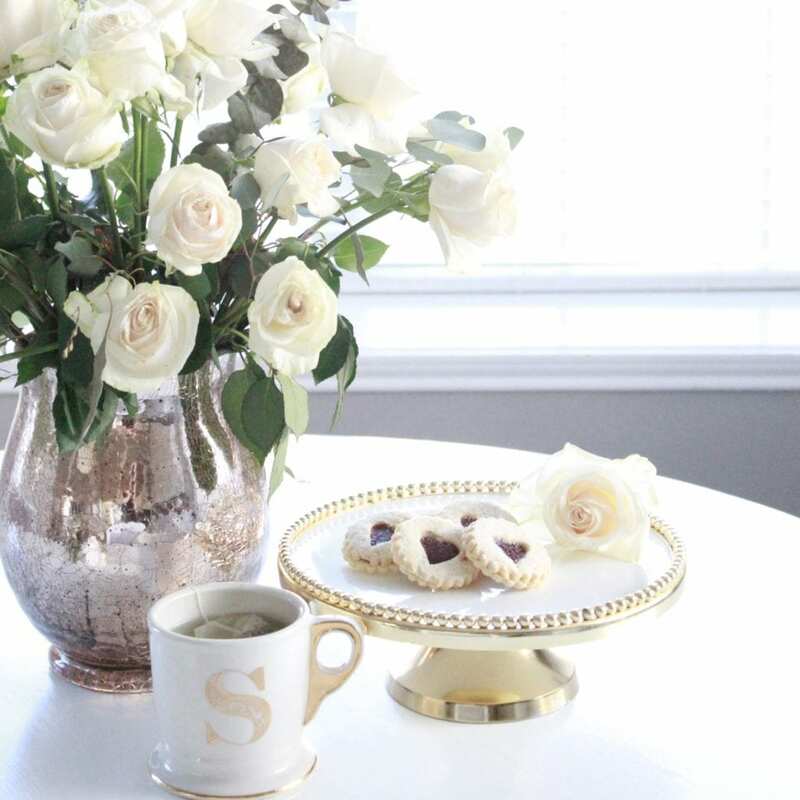 Summer, your Valentine’s Day decor is simply beautiful! 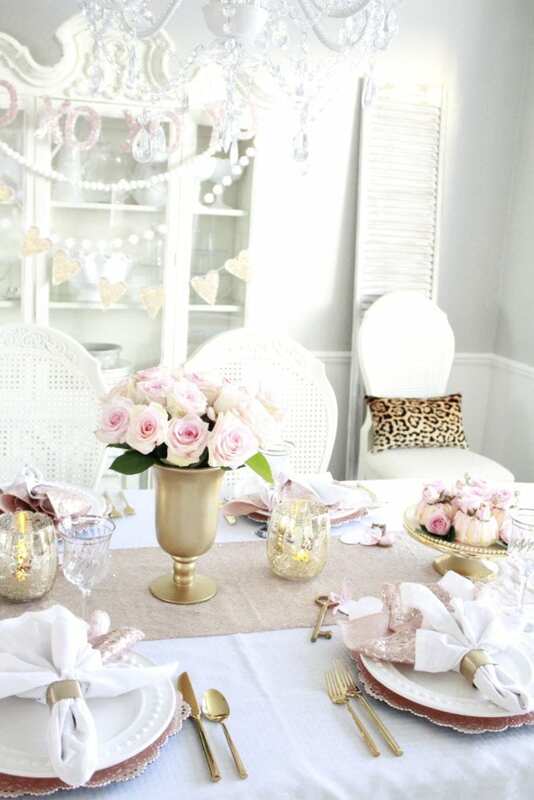 I love all the soft pink touches – so romantic! And that bar cart is beyond beautiful! Love every little details, my friend! Hi! My name is Liz and I’m 19 and I just got married last year, I just wanna say really quick thanks for everything! You’re everything I want to be!! Oh Liz, you are just too sweet! Thanks soooo much! What a fun stage of life you are in! Young and newly married and you’re whole life in front of you. Dream big and have FUN! Thanks for taking the time to leave such kind words 🙂 It means so much to me! Hugs! This whole scene, in fact this whole holiday, is so YOU! 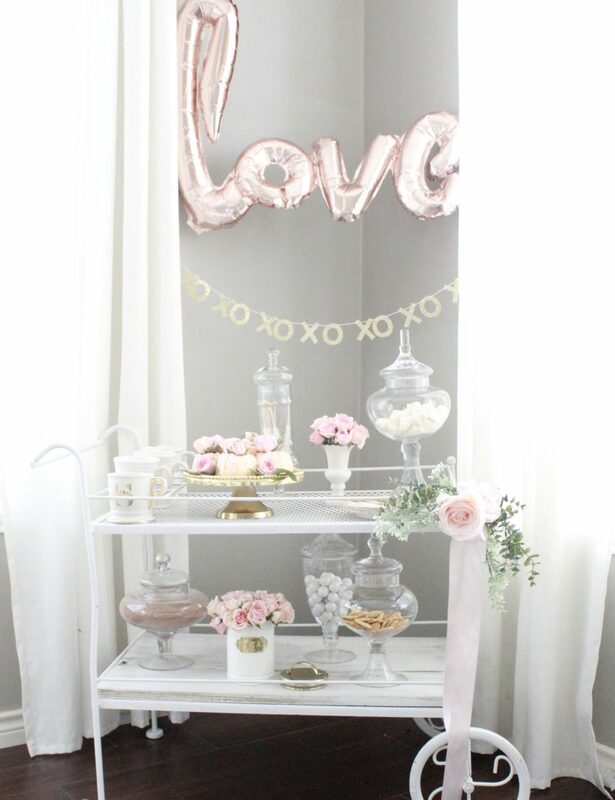 The bar cart is adorable and I love that cute mylar balloon so much! 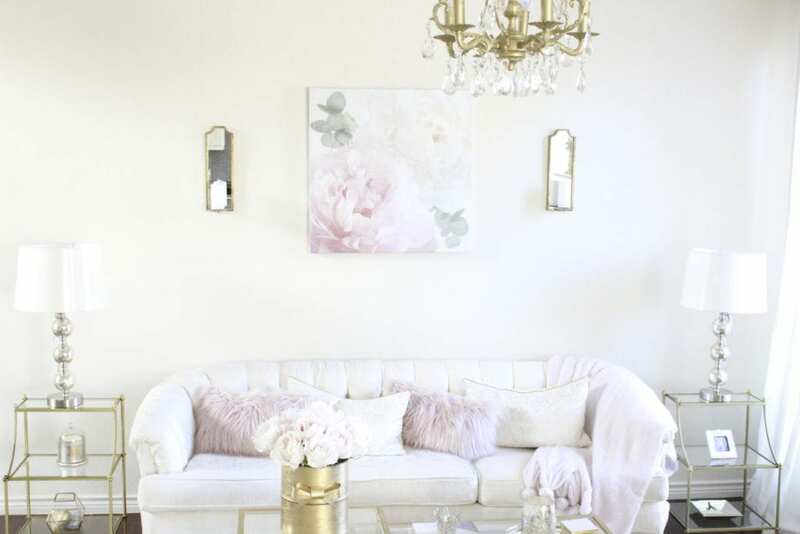 The blush touches look so good in your beautiful white living room! And I try to do something special for the kids too, I love that tradition and how lovely that your mom did it too! Hope your holiday is wonderful my friend! You are the master of PINK! 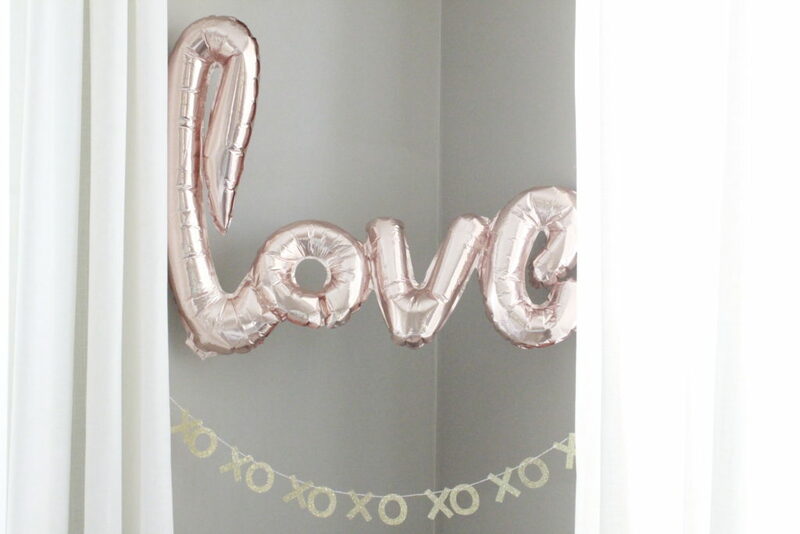 Everything down to the helium pink love balloon is just so beautiful and thoughtfully curated! Loved doing this blog hop with you Summer! 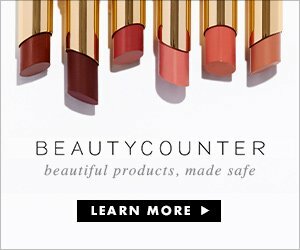 So, I’m just getting around to everyone’s blogs! Ugh… somehow I need to be get organized! Oh my gosh, I LOVE your post! 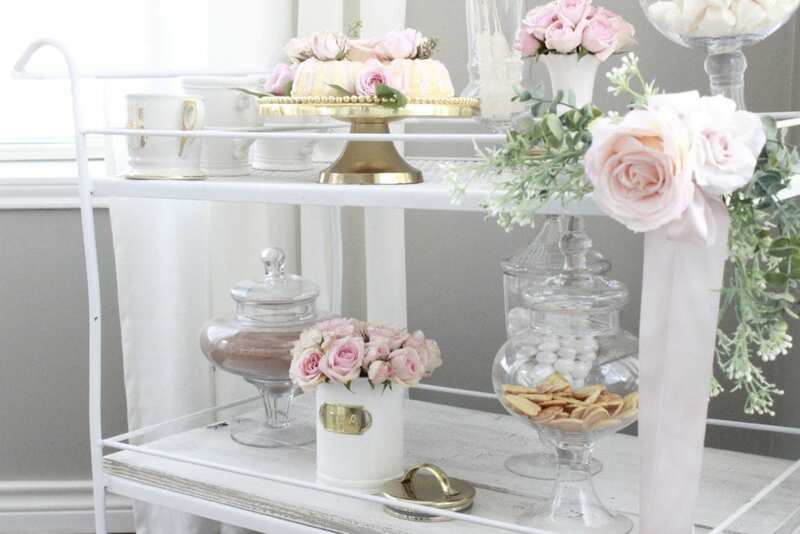 You always pull off such beautiful decor and all your sweet goodies have me drooling. 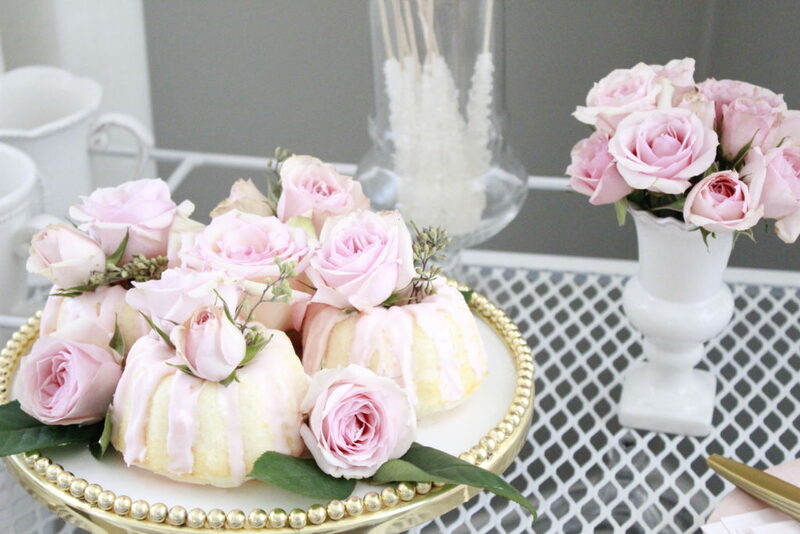 You sure know how to round-up the best looking treats, those mini-bundt cakes look delicious and the roses are so pretty on top of them! Thanks for joining us this month, you always bring a sparkle to our hops!